Do you Play Empires & Allies? Join GameHunters.Club our members share free bonus, tips, guides & valid cheats or tricks if found working. GameHunters.Club is a Fan Site and is not endorsed by or affiliated with Empires & Allies. All Trademarks are the property of respective owners. If you love this game, support it by purchasing premium items in the game or follow the official Empires & Allies social media channels. GameHunters.Club is a platform for gamers who loves to share. Join us and be the first to post here about Empires & Allies. There is no registration required. Login with Facebook to start posting. Join the Forum, Discuss anything about Empires & Allies. You can talk about tips, tricks, cheats, ask for help or simply introduce yourself to the club. These are the most recent topics and posts on Empires & Allies Forum. Do you know any of this topics? Help players by posting about this topics on Empires & Allies Game Post section. The art of war and the science of strategy decides the new way to victory! #EmpiresAndAllies strategizing war since 2015. Hope you had a great #Halloween Commanders! Congratulations for winning 200 Gold each. Thank you for participating in #HalloweenWithEnA, and witching you all a very 🎃 haunted Halloween! Back from the dead and reporting for duty! The correct answer for our trick or treat test is A. All Saints' Day. Congratulations to Michael Oska and Reynaldo Fernandez for winning 100 Gold. Stand by for further instructions. Thank you all for your participation and stay tuned for more #contests and #updates. Only here on #HalloweenWithEnA. The correct answer is C. 15, Commanders! Let's congratulate Rody Almasoud and Marcos Alexandre Silva for winning 100 Gold. Thank you all for your participation and support. Stay tuned for more #updates and #contest only here on #EmpiresAndAllies! You've done well, Commanders! The correct answer is C. Manticore Insignia & Flag. Congratulations to Rupom Rahaman and Emil Briones for winning 100 Gold. All rewards will be deployed soon so stand by for further instructions. Thank you all for your participation, and stay tuned for more #updates and #contests only here on #EmpiresAndAllies! Behold, MK2 Viper is here! Collect the new advance Quantum Cores in Alliance Missions and Elite Caches, and unlock your MK2 Omega Units. 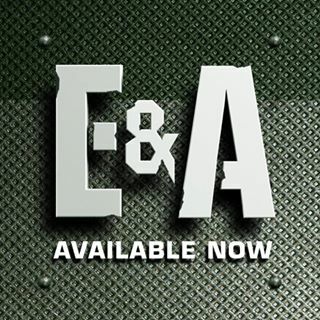 Visit the FAQ article (zynga.my/eaomegamk2) for more info. Play now! Great job, Commanders! The correct answer is C. Global Revolutionary Army! Congratulations to Andre Rigo and Stefanie Boyd Clemons for winning 100 Gold. All rewards will be deployed soon so watch out for further instructions. Thank you all for your participation, and stay tuned for more #contests and #updates. Play #EmpiresAndAllies now (zynga.my/ealinks). Commanders, the correct answer is A. Allied Defense Force! Let's congratulate Mark Pride and Karolyn Herrera for winning 100 Gold. You will receive your rewards soon so watch out for further instructions. Thank you all for your participation, and stay tuned for more #contests and #updates! Enjoy playing #EmpiresAndAllies (zynga.my/ealinks)! The #MK2 Omega Units are tremendously powerful compared to their predecessors. #MK2 will be live on #EmpiresAndAllies soon! What is coming back? Tell us what you see in the image by arranging the jumbled letters, and get ready for the History to repeat! Play #EmpiresAndAllies now (http://zynga.my/ealinks). Commanders, the correct answer is A. 15! Let's congratulate Marianne Magnuson and Joel Guiron for winning 100 Gold. You will receive your rewards soon so watch out for further instructions. Thank you all for your participation, and stay tuned for more #contests and #updates! Enjoy playing #EmpiresAndAllies! Locate your opponents, fortify your defense, and head towards your battle with the all-new Alliance Missions only on #EmpiresAndAllies! Commanders, the correct answer is 2 Days! Let's congratulate Leeah Stevenson Davis and Asaduzzaman Rumon for winning 100 Gold each. You will receive your reward soon so watch out for further instructions. Thank you all for your participation, and stay tuned for more #contests only here on #EmpiresAndAllies! Commanders, here is a test for you! Answer the question below and get rewarded for your knowledge on #EmpiresAndAllies! Congratulations to Larry Fellers and RK Price for winning the photo caption contest! You will receive your reward soon so watch out for further instructions. Thank you all for your participation and #staytuned to this page for more #contests and fun. Keep playing: (zynga.my/ealinks). #IdentifyThisUnit, and post your answers as comments below, Commanders! Rewards will be deployed to winners with the correct answers. Play #EmpiresAndAllies now (zynga.my/ealinks) 🎮, and #staytuned to this space for more #contests and #updates. Commanders! Protect your buildings and troops with Sonic Barrier to mitigates enemy Command Powers effects. Play #EmpiresAndAllies now (zynga.my/ealinks), and prepare for battles! Great job for fixing the HQ jigsaw puzzle, Commanders! Congratulations to Rob En Lindsay Claes-Luyten, Andi Sinani, Raymund Dar, Pedro Duarte, Ram Gc, Neto García, Murat Demir, Ruslan Golyshevsky, Edelson Barros, and Babar Khan, you've won 50 Gold! #Staytuned to our pages for more #contests and #updates on #EmpiresAndAllies (zynga.my/ealinks). Commanders! We believe that a good relationship is maintained with good communication! Therefore, team #EmpiresAndAllies hears you, and we tried to answer most of the questions you asked. Check out the Part II of your answers here – (zynga.my/eaqa2). Commanders, now #BuildUpHq30 and attack your enemy with the high power electrical bolts on the all New EMP Tower configuration Tesla Coil, available now only on #EmpiresAndAllies (zynga.my/ealinks). #BuildUpHQ30 and spot the differences to win amazing rewards! Play #EmpiresAndAllies now (zynga.my/ealinks) 🎮, and #staytuned to this space for more #contests and #updates. Empires & Allies, an all-new modern military strategy game that puts the weapons of modern war at your fingertips in a never-ending battle to conquer the world. Empires & Allies, the new modern military strategy game! Join your friends, form alliances, and get ready to build your empire. Welcome to Empires & Allies, an all-new modern military strategy game that puts the weapons of modern war at your fingertips in a never-ending battle to conquer the world. DESIGN YOUR PERFECT ARMY from the arsenals of today’s militaries with battle-hardened tanks, drones, helicopters, and more. DEPLOY MODERN WEAPONS including tactical nukes, hellfire missiles, and orbital strikes. JOIN ALLIANCES to fortify defenses and reinforce attacking units.